Everyone knows the Five-Second Rule. 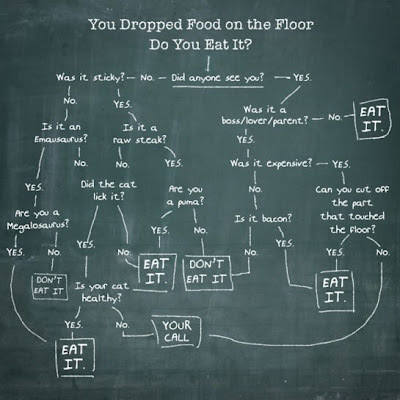 It states that if a piece of food falls on the floor and is retrieved within five seconds, it is safe to eat. Except that it takes longer than five seconds to read this chart, unless you have it memorized prior to any eventuality of using it. How Strong Is Your Cheese? I Like Cats Too, but Come On!